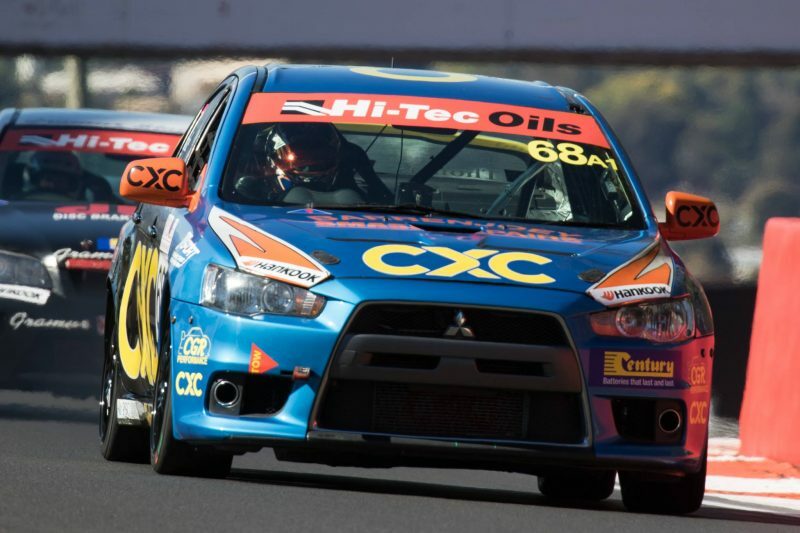 Tim Slade will join CGR Performance in a Mitsubishi Lancer Evo X RS for the Hi-Tec Oils Bathurst 6 Hour over Easter. The Brad Jones Racing Supercars driver will once again partner Dylan Thomas, the pair having teamed up for last year’s event. “Any laps you can do around Bathurst is good, so I’m going to go along and do it again,” Slade told Speedcafe.com. “I do enjoy doing races outside of the Supercars stuff, just because it is pretty chilled out and relaxed. It takes you back to the grassroots. “It’s quite a bit different from the Supercars given all the different kinds of cars out there; its much more similar to the 12 Hour in that respect,” he added. “But they are production cars, so unlike the 1000 and the 12 Hour where you’re basically flat out for the whole duration, you do actually have to look after the cars a little bit throughout the race. Last year the Thomas/Slade entry failed to reach the finish after a seized oil pump took the car out of proceedings before Slade’s opening stint, meaning the BJR driver didn’t turn a lap in the race. “Based on that that I probably owe him a start this year,” joked Thomas. “I think Tim is one of the most underrated drivers in Supercars. The CGR Performance squad has entered three Mitsubishi Evos, the Evo X RS for Slade and himself, and a pair of Evo IXs for which he is still to confirm drivers. The Bathurst 6 Hour event takes place over the Easter long weekend, from March 30 to April 1.